My best life would be tanned, on holiday surrounded by colourful food. I’m 24 years old and I started blogging in 2017 when I was in a marketing job and wanted to keep busy with something creative outside of work. I always got asked where should I go for dinner, drinks, brunch, a date etc. so I created my blog to share my recommendations. I also have a love for holidaying, and found that people have enjoyed seeing where I eat abroad hence branching into travel blogging too. My blog took off quickly with restaurant invites and collaborations due to high engagement and this motivated me to quit my office job to create more great content and share with people how I enjoy life after my 9-5. 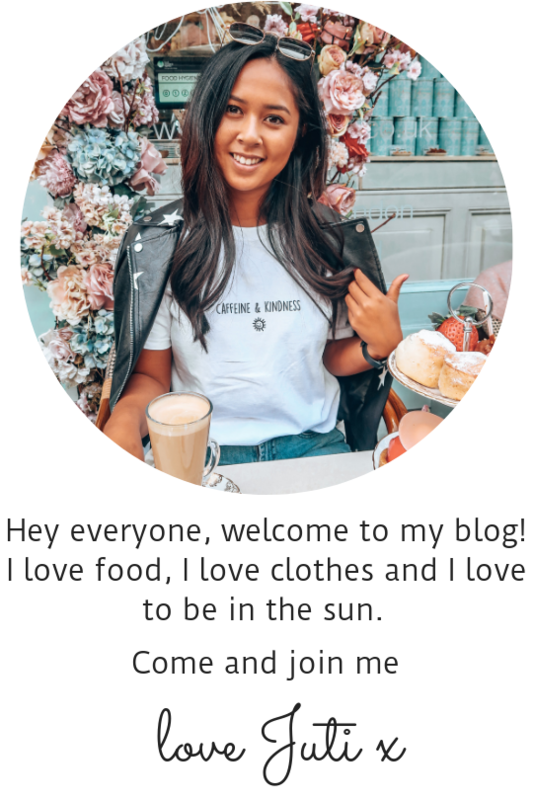 I started my blog in April 2017 and created it as a result of my love of eating out and brunching. I shared reviews of brunches and wrote blog posts on the London brunch scene. Since then it has grown to include restaurant reviews, influencer events and travel tips. I have also now invested in a professional camera to take high quality images to share across my blog and Instagram. In the future I hope my blog will share helpful tips on what to wear, where to travel and where to go to discover great food from luxury to local. If you want to collab or maybe you wanna catch a brunch then get in touch! I’m always up for eating our money dry.